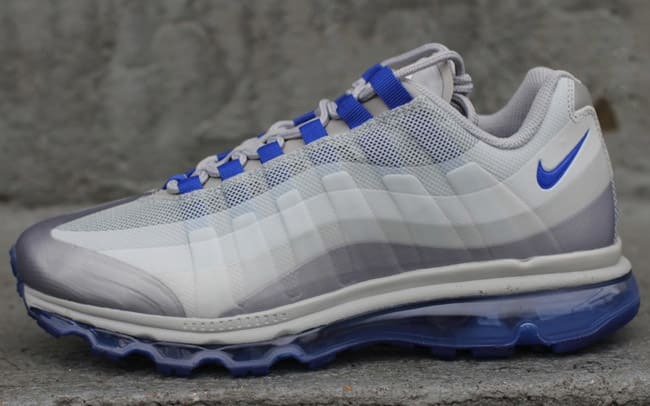 Nike Air Max 95+ BB "Wolf Grey/Old Royal"
The Swoosh is back with a freshly-painted take on its Air Max 95 re-up. The Air Max 95+ BB here sports the accustomed Hyperfuse construction with a full-length Max Air unit sitting comfortably underneath. Royal Blue accents complement the Wolf Grey spread, which is rounded out with tonal laces. Visit Nike Sportswear carriers such as Oneness to pick these Maxes up today.